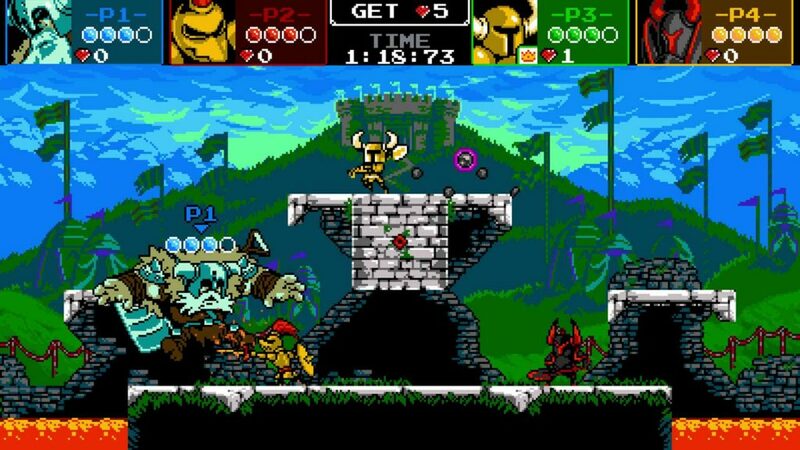 During its Kickstarter run, Shovel Knight garnered enough support to earn a multiplayer battle mode, one of the stretch goals that definitely stood out most. While it’s been quiet on that front, with most post-release attention focusing on the larger Knight campaigns, Yacht Club Games has finally spoken up about what’s now known as Shovel Knight Showdown. Speaking to IGN, they revealed and shared this new addition and offered an early build to play. Available for one-on-one, four versus four, and teamed up fights against AI, Showdown will let you play as over 16 characters from Shovel Knight. We see the Blue Burrower himself as well as Shield Knight, Black Night, and nearly the whole Order of No Quarter along with other, less notable (but still recognizable) faces from the game’s cast of enemies. Each of those characters will also have their own story path to play through, complete with minigames and a new final boss encounter. With multiple stages, battle styles, new music, and all these playable characters, this looks to be a great celebration of the game that just won’t stop giving. Best of all, it’s still absolutely free for anyone who backed Shovel Knight or has the Treasure Trove license, with the mode available as a standalone for $9.99. It’s coming not only to Nintendo Switch, but Wii U too, as well as other home platforms Shovel Knight’s dug itself into. That does mean the 3DS version gets left out of the fun, unfortunately. Shovel Knight Showdown will be available sometime in 2019. Still no word on when King of Cards will drop, but between the two of them there’s still plenty of shovelry to look forward to.